Eagles officially announce that Nick Foles will start against the Falcons. 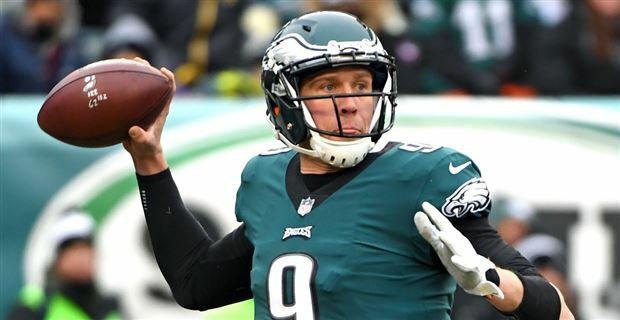 Nick Foles will be under center when the defending champion Philadelphia Eagles host the Atlanta Falcons on Thursday night. Coach Doug Pederson made the announcement on Monday, one day after a testy exchange with reporters in which he insisted he wanted to wait before ruling out Carson Wentz. Foles was spectacular in the playoffs and helped Philadelphia defeat New England 41-33 to win the franchise's first Football title since 1960. Pederson did confirm that quarterback Carson Wentz has not yet been cleared for contact. Wentz, the former No. 2 pick out of North Dakota State, has looked increasingly like his old self in recent weeks, ESPN reports. His mobility is returning, and his throwing velocity is up compared to last year. He has been splitting first-team reps with Foles during practice of late. He is still on the early side of a traditional timetable for return from this type of injury, however. ACL tears typically take nine to 12 months to recover. The Atlanta game comes a few days shy of that nine-month mark. Wentz tore his LCL as well, which delayed the rehab process and made for a more complicated surgery and recovery.